Metropolis II by Chris Burden has opened to the public Saturday, January 14, 2012. It’s an experience! Should you be in L.A. for the weekend, do pay LACMA a visit and check out this outstanding exhibition. An “elaborate system of 18 roadways including one 6-lane freeway and HO scale train tracks…” and 1200 custom manufactured die-cast cars make you feel like being in the midst of a mini New York or Los Angeles . An impressive structure of steel, aluminum, shielded copper wire, glass, plastics, wood and even legos take the viewer with amazement. One can spend quite some time discovering all kinds of different buildings and world landmarks like the Eiffel tower and Saint Basil’s Cathedral on the Red Square in Moscow. This upcoming Monday is part of Target Free Holiday Mondays, which offers free entrance to all LACMA shows and a variety of children activities throughout the day. Not only will you get a look at this amazing architectural design gem, but your kids will have a moment of awe and can continue the day at LACMA with all kinds of other fun activities. By the way, should you have children at the ages of 3-18, get them a NEXGEN membership. It’s a free membership for children and allows one accompanying adult per child to visit LACMA for free. My son and I just spent a great day at LACMA and actually could take a sneak preview on Metropolis II on Friday, when LACMA offered a special member preview day before the official opening of Metropolis II yesterday. We continued our LACMA adventure with viewing the art collection at the Broad Contemporary Art Museum. Already the building with its contrasting red elements and the steep escalator, that my son named the ‘escalator to the sky’ is a delight for the eye. 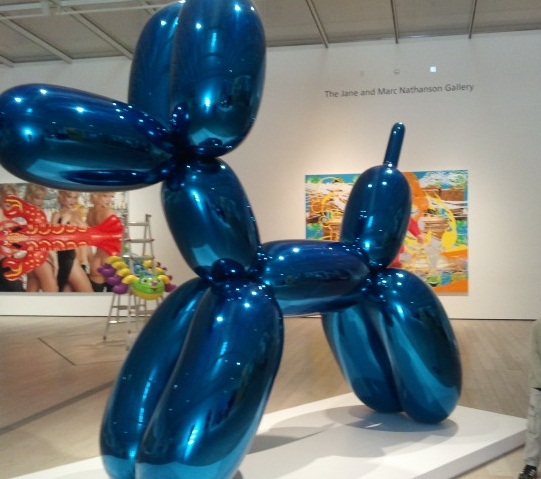 Inside, one can experience the fascinating paintings and sculptures of so many famous artists like Jeff Koons, Baldessari and more. Should you love Expressionism, then walk over to the Ahmanson building. The Rifkind Gallery for German Expressionism offers quite a selection of Kirchner, Pechstein and Co. An entire small exhibit is dedicated to Ludwig Meidner: Ecstatic Expressionism, which will be on view until April 15th. Quite an impressive selection of other representatives of modern art can be found here on level 2 as well. From Picasso, Klee, Otto Dix to Motherwell, Rothko, Pollock, Sam Francis and Liechtenstein. 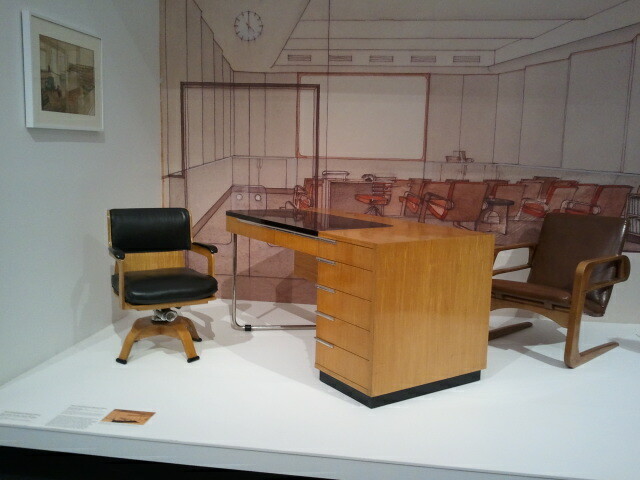 California Design, 1930–1965: “Living in a Modern Way” is another exhibition that should be on your agenda. As part of Pacific Standard Time: Art in L.A. 1945-1980 it gives a chronological overview through the many historical highlights that shaped California Design.